"This is our dog Toby at one year old. 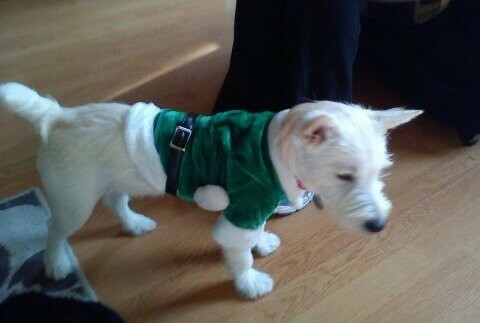 He is a Westie mixed with a Jack Russell. Wonderful dog and disposition and is very loving. He can be shaggy like the Benji dog or trimmed right down with just a hairy face. He is 25 lbs, about as tall as a Cocker Spaniel. We are sorry we did not take another pup from the litter. There were 7 in all. 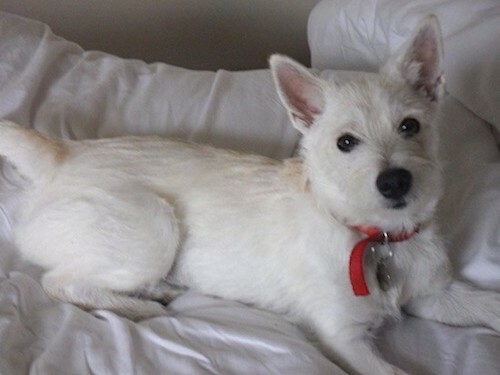 The father is a white Jack Russell and the mother is a Westie." 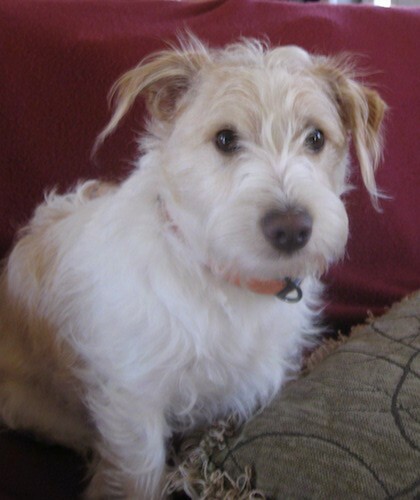 The Jack Highland Terrier is not a purebred dog. 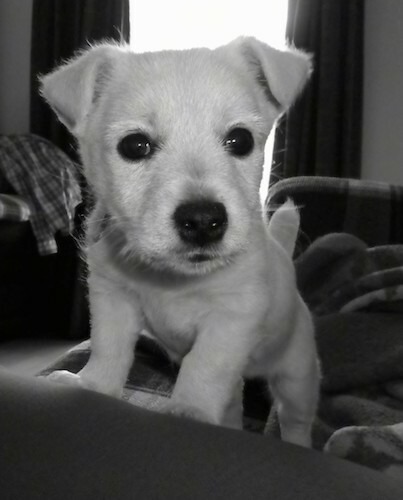 It is a cross between the Jack Russell Terrier and the Westie. The best way to determine the temperament of a mixed breed is to look up all breeds in the cross and know you can get any combination of any of the characteristics found in either breed. Not all of these designer hybrid dogs being bred are 50% purebred to 50% purebred. It is very common for breeders to breed multi-generation crosses. 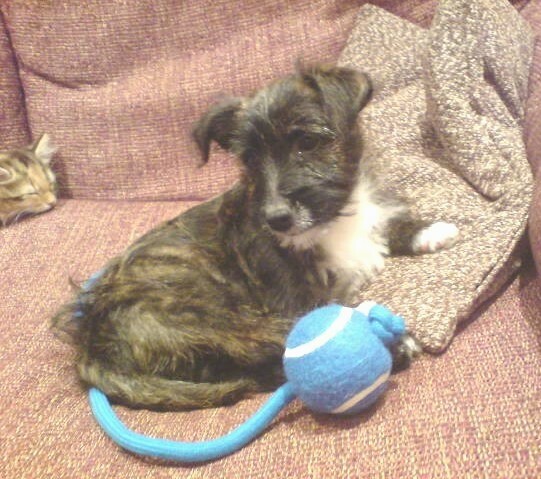 "Meet Millie, my West Highland Terrier/ Jack Russell (rough haired) cross shown here as a puppy"
"Nala is a mix of a Jack Russell and a West Highland Terrier. 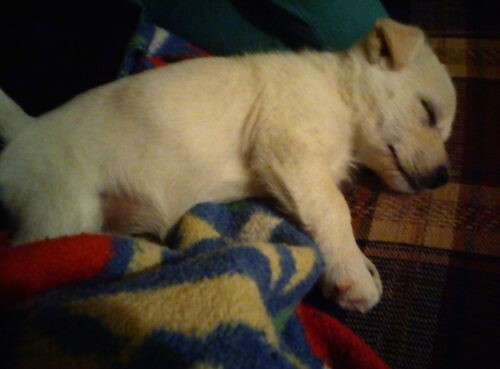 She was an adorable little puppy and she still is now she's nearly one. She is very friendly and sociable, loves walkies, playing chasing, digging holes and getting up to general mischief."